Rob Hulls is a former Victorian Attorney-General and Deputy Premier. He was the Labor member for Niddrie in the Victorian Legislative Assembly from 1996 to 2012. 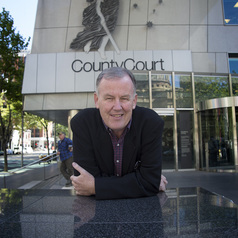 In October 2012, the Centre for Innovative Justice was established at RMIT University with Hulls as its inaugural director. The mission of the Centre for Innovative Justice is to research, develop, teach and promote innovative ways of delivering justice. The Centre is dedicated to finding innovative solutions to complex problems that manifest in the justice system. Its analysis is not limited to identifying problems within the system. It strives to develop practical ways to ensure the justice system acts as a positive intervention in the lives of its users.